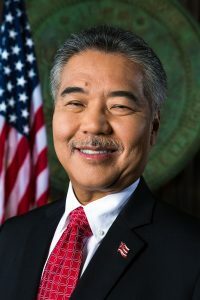 Governor David Ige will be featured among a number of key decision makers from throughout the nation at the 6th Annual Hawaii Energy Conference (HEC). These leaders will exchange ideas on responding to the challenges associated with replacing fossil fuels with diverse and renewable energy resources. Governor Ige will join the panel Moving Away from Convention: Innovations in Regulatory Policy, with Michael Picker, President, California Public Utilities Commission; Abigail Anthony, Commissioner, Rhode Island Public Utilities Commission; and Jennifer Potter, Commissioner of the Hawai’i Public Utilities Commission. Some of the central questions this panel will explore include the following: What regulatory initiatives are Commissions undertaking to improve utility performance? What incentives have been approved for fuel cost and renewables procurement? What incentives will work to align the interests of the utility with public policy? If new incentives are crafted, can they avoid increasing the ultimate cost to rate payers? What instances make sense to transform the market through incentives? 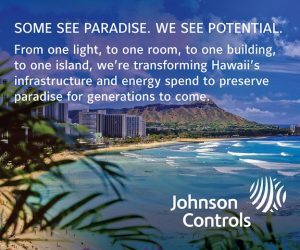 Hawaii has experienced enormous growth in distributed energy resources, primarily photovoltaic systems. Thus, this year’s conference will take an in-depth look at the innovative policies and technologies that continue to allow rapid growth in PV, and will compare Hawaii solutions with those in Colorado, California and other states. Other panels at the conference will discuss topics such as the interplay between fossil and renewable energy; a comparison of paths to 100% renewable energy; and unleashing the power of clean energy in housing markets. 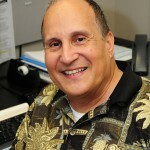 The HEC will be held at the Maui Arts Cultural Center March 27 & 28. 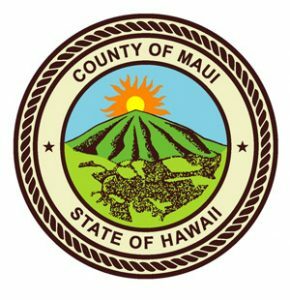 Presented by the Maui Economic Development Board (MEDB) and supported by the County of Maui Office of Economic Development. 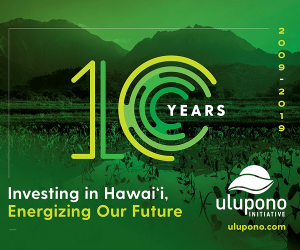 This event consistently attracts energy industry leaders from Hawaii, the Mainland, Japan and Europe to exchange ideas on how to better serve the community in today’s rapidly changing energy environment. Highlights of the conference include thought-provoking keynote speakers, panel sessions, case studies, exhibits and ample time for networking. The 2019 Hawaii Energy Conference is made possible by the following sponsors: Carbon Lighthouse, Hawaii Natural Energy Institute, Johnson Controls, Ulupono Initiative, Innergex, Hawaii Electric Companies, Hawaii Energy, PXiSE Energy Solutions, Powin Energy, Ameresco, Ampaire, Burns & McDonnell, DOE Western CHP Technical Assistance Partnership, Eaton, Gridworks, UH Hawaii Energy Policy Forum, Neste, Ohm Energy Techologies, Opus One Solutions and Pika Energy.